For the past couple of years, I kept hearing about Aerocity hotels near Delhi international airport. 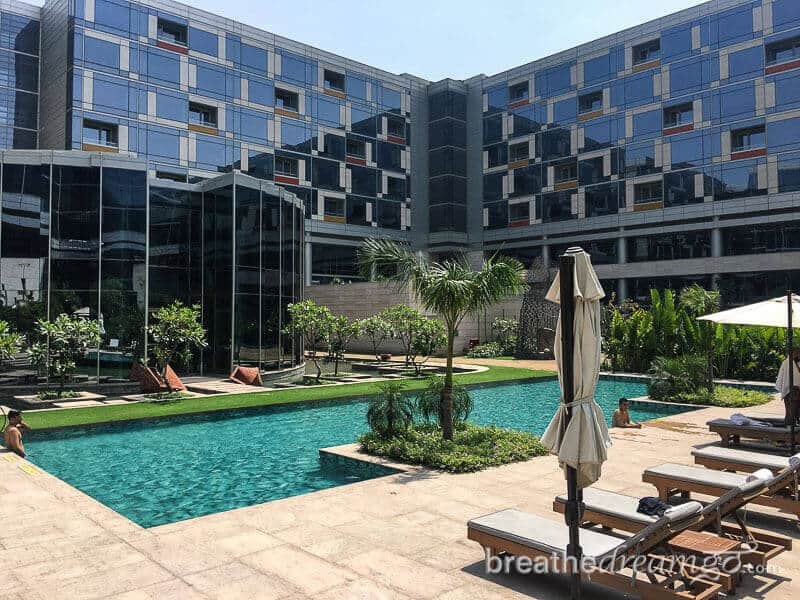 But it wasn’t until fellow travel blogger Lakshmi Sharath visited that I started to understand that hotels in Aerocity Delhi are far above and beyond what I expected from an airport hotel. 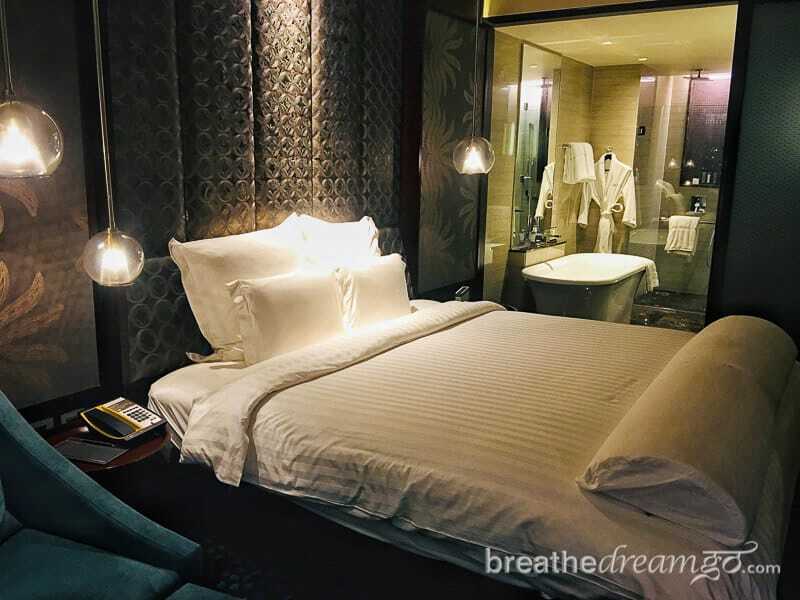 It was my personal experience of staying in Aerocity, and being hosted by Accor Hotels Ibis brand, that opened my eyes to the value of this place. 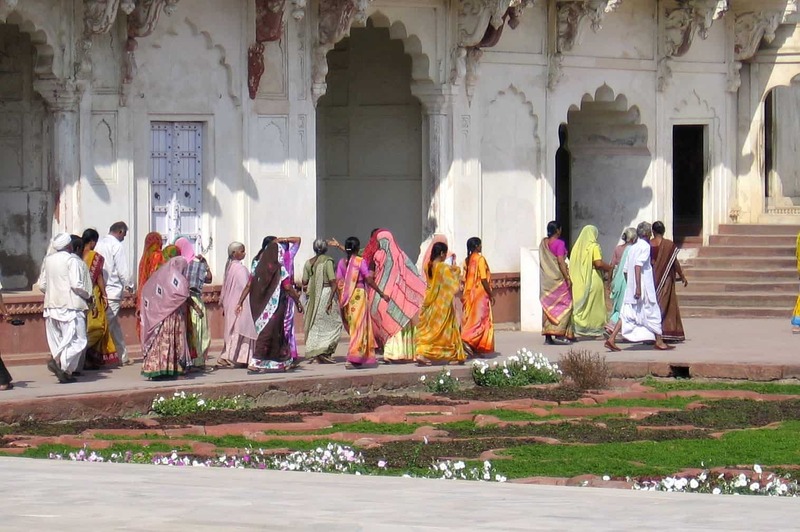 I always find leaving India hard. 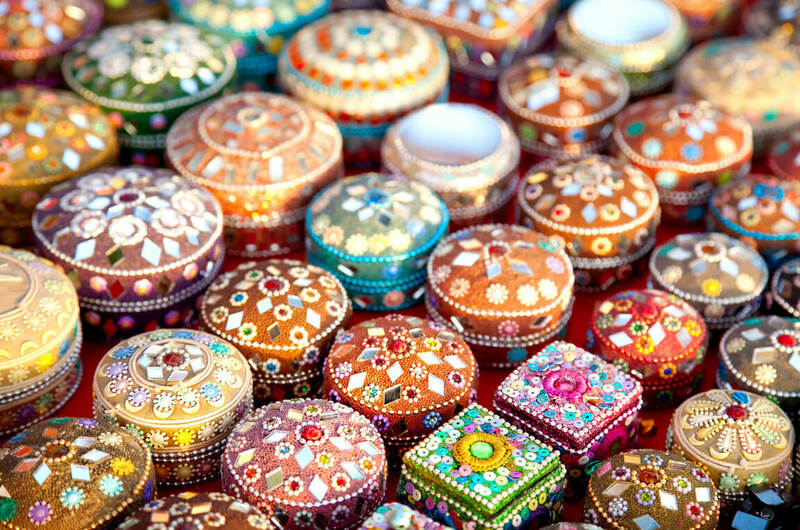 I feel very connected to India and suffer from withdrawal pangs. It’s also a bit of an ordeal to pack up. Plus, there’s the long flight or flights home. But this year, I did it right. I spent the last week in Delhi, at my home-away-from home Prakash Kutir. The wonderful family who runs it are kind enough to store my luggage — three big suitcases of clothes, books, and other stuff accumulated over the past 12 years of travel to India. My last night was spent at the Hotel Ibis in Aerocity, near Delhi’s international airport. I had never experienced Aerocity, and knew very little about it. But it turned out to be an extremely convenient, stress-reducing, and eye opening experience and I’m so glad I took the effort to explore it. If you don’t know, Aerocity is a development just a 10-minute drive to T3, Indira Gandhi International Airport in Delhi (and also close to T1, the domestic terminal). 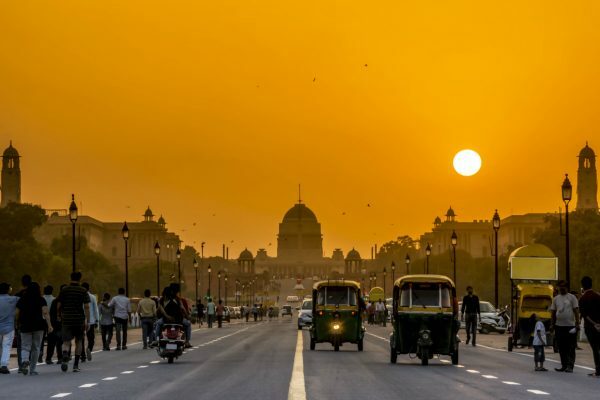 The development includes hotels in almost every price range — from the affordable Hotel Ibis to the luxury Pullman Hotel to the very grand Roseate House — plus a Delhi metro station and shopping malls. It’s like a mini-city for travellers. The thing that surprised me most is the hotels are not your usual soulless airport hotels. They are destinations unto themselves with gourmet restaurants, gin bars, rooftop swimming pools, gyms, screening rooms, presidential suites, runway views, posh lounges, and much more. 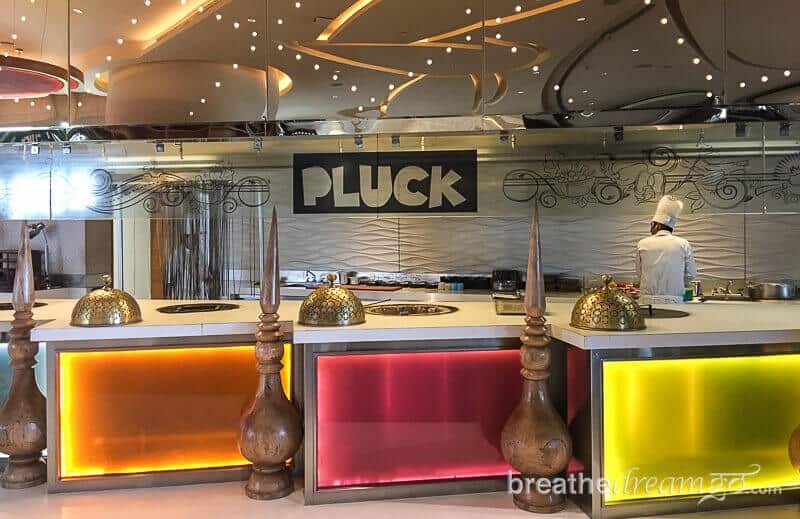 I was truly gobsmacked a couple of times as Hotel Ibis rooms division manager Abhilash Kumar gave me an Aerocity tour that literally took four hours – but included a fresh and delicious lunch at Pullman’s Pluck restaurant. I did not expect such a range of experiences and so much sophistication. The three hotels that really stood out for me are Roseate House, the Pullman, and Andaz Delhi. There are some other good hotels at Aerocity, but these three are the knock-outs. Roseate House has a gorgeous Indian restaurant, a chic rooftop pool with a runway view, and a deluxe screening room, but it was the suites that really did it for me. The presidential suite was especially glam, with silver walls, a giant bathroom, and its own pool. 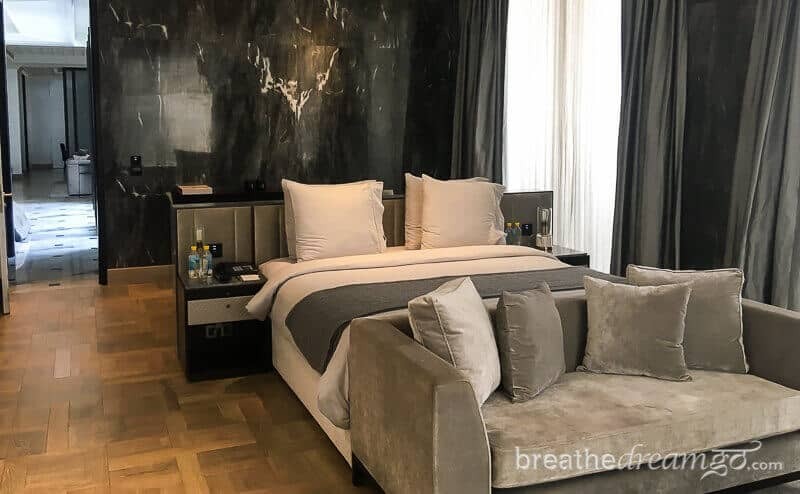 Area general manager Kush Kapoor gave us a full tour of the property and told us Ranveer Singh, Akshay Kumar, and Aamir Khan have stayed in the suite. 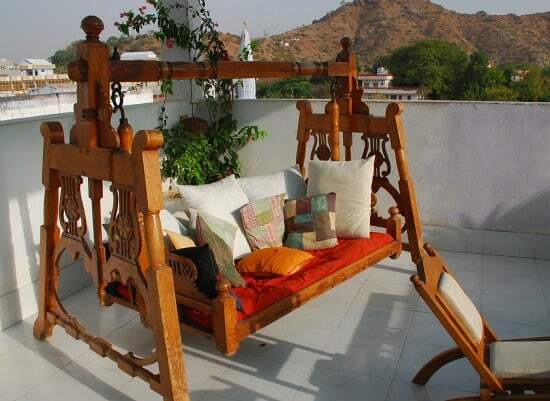 Ranveer Singh slept here! The presidential suite at the Roseate House. 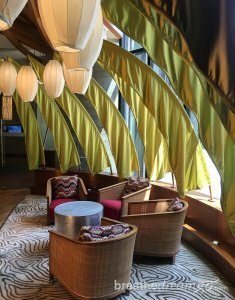 The Andaz felt like a breath of fresh air. Super stylish, hip, and with an open concept lobby, the décor and cuisine blends traditional Delhi and Indian touches to create a very modern and unique fusion style. In December, on my way to visit top tourist places of Madhya Pradesh, I got the chance to stay at the Andaz Delhi and experience the hotel. I ate in the restaurant, and stayed in a plush room with a runway view. 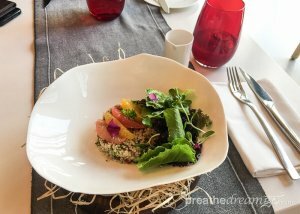 The Pullman is a very stylish, luxurious property with a chic lounge and a great restaurant, Pluck, that serves Asian-fusion dishes and lots of super healthy choices. This hotel has a large courtyard that features a swimming pool and private club. I loved the rain theme in the lobby, with thousands of glass rain drops hanging from the ceiling. And the rooms are equally luxurious and comfortable, some with incredible runway views. 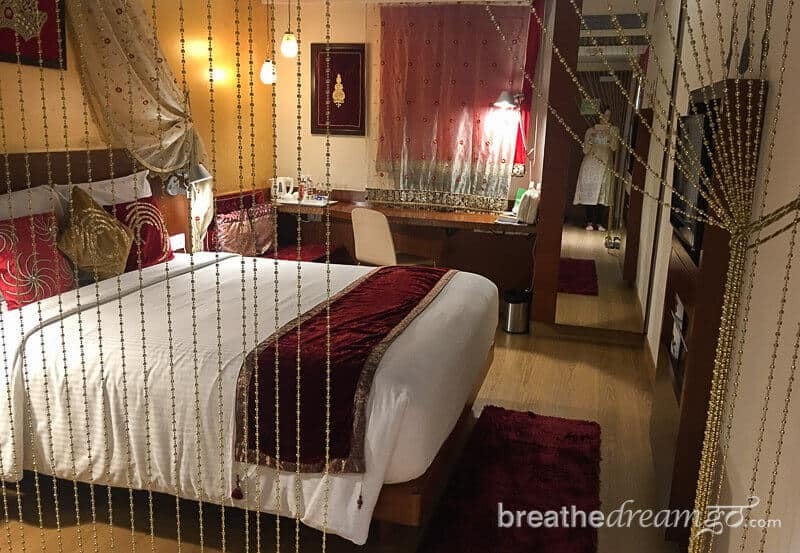 UPDATE: I stayed one night at the Pullman Hotel on my way through Delhi in June 2018. I arrived in Delhi at about 9:30 pm, on a direct Air Canada flight from Toronto, and checked into the hotel about 10:15. It’s literally a 10-minute drive from the airport. The first thing I did was have a late dinner at Pluck. I loved the menu choices, which included lots of fresh and flavourful fusion dishes, and ordered a Sweet potato, feta and pomegranate basket. This modern twist on Indian chaat was spiked with mint and tamarind flavours and perfect for my first dish in India after a two-month absence. The ambience of Pluck, and the hotel in general, is soothing and stylish in equal measure, which is perfect when you are jet-lagged and / or in need of some TLC (tender loving care). Upstairs, I dropped into the large, comfortable bed, tired and happy. I could only look longingly at the deep bathtub in my room — the divider between the bathroom and the bedroom can be completely opened — as I was too tired to take a bath. I felt enveloped in plush comfort. The bed felt like a cloud and I have never ever ever slept in a quieter hotel room. I don’t know how they do it, but I heard nothing at all from the corridor or other rooms, and could barely even hear the airport. I was lucky to get a room with a runway view, and woke up at dawn to watch planes taking off across the street, at the international airport. But the best was yet to come. I went downstairs to walk on the grass in the courtyard and wait until the breakfast buffet opened in Pluck (I had jet lag and woke up waaayyy too early!). And when it did, wow. 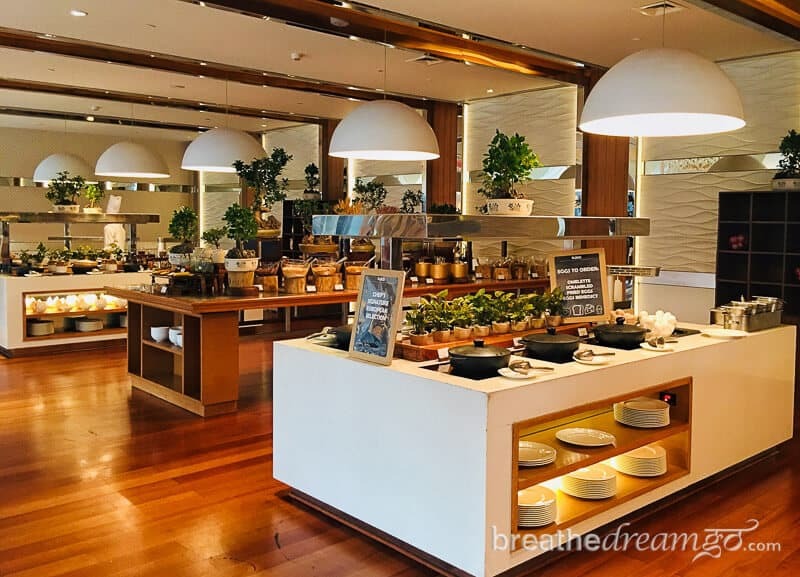 It was one of the most impressive buffet breakfast spreads I have ever seen, with choices that ranged from the healthy to the traditional Indian to the pan-global — and even included sushi and gluten-free muffins. Thank you for the gluten-free muffins! I enjoyed my stay at budget conscious Hotel Ibis, and especially the My Room concept. There are seven themed rooms at the Ibis, including Bollywood, English Vintage, and Spiderman, and I was lucky enough to stay in the Royal Rajasthani room. The rooms are all created by employees, who are given a budget to design the rooms based on their interests and passions. 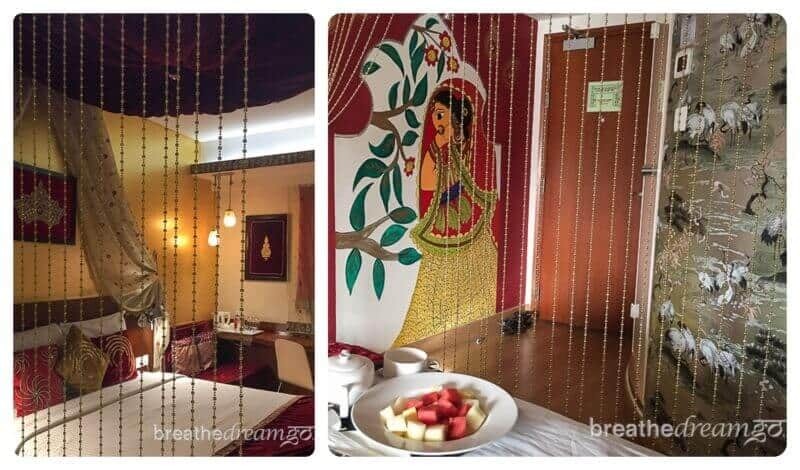 I loved my royal Rajasthani room, that made me feel like a princess. Even better, the Hotel Ibis let me keep my room until I had to leave for the airport at 8:30 pm, and I have never felt so relaxed leaving India. 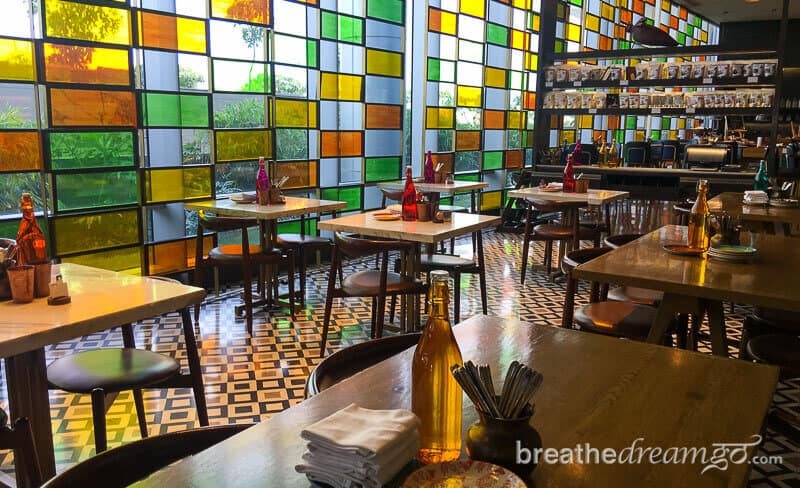 I also really enjoyed the ground floor restaurant Spice IT, at Ibis Hotel, a bright and colourful place that actually serves tasty, spicy, and authentic Indian cuisine. They also specialize in healthy food, and have chai on tap. The restaurant is open 24/7 and has a stylish outdoor lounge. The night I was there a sudden and inexplicable rain storm hit the city, and I was able to sit outside, protected by a pavilion, in the rain. 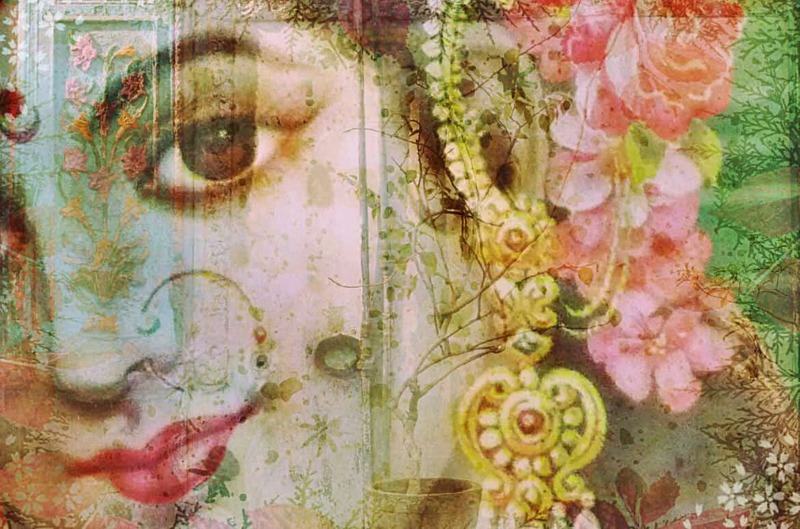 It was a Bollywood moment, and I suppose a suitable last night in India. Thanks so to Abhilash Kumar, Sachin Gosain, Pramod Maurya, and Avinash Datt Upadhyay from Ibis, Vikram Rajoria and Kriti Malhotra from Pullman/Novotel (these hotels are connected at Aerocity), Varun Balwani from Andaz, and Kush Kapoor from Roseate House for the tour. And a special thanks to the very warm and helpful staff of Spice IT for making sure all my meals were gluten free. But of course Aerocity’s salient feature is convenience. 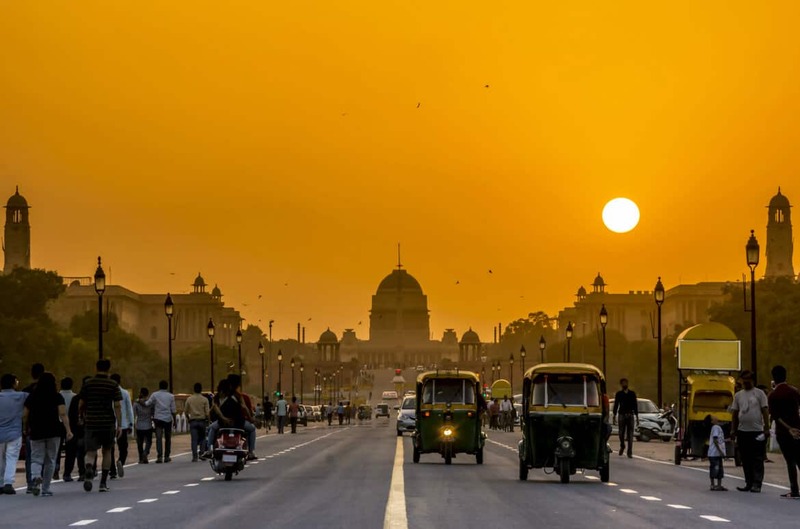 With a metro station that connects Aerocity to the airport and to downtown Delhi, plus numerous methods to take you the 10-minute drive to the airport — avoiding Delhi’s stressful traffic — you can’t beat it for convenience. Then, to top off this smooth exit, Air Canada upgraded my ticket to Business Class at the gate. Which is a bit like winning the lottery when you have a 14-hour flight ahead of you. Kudos to Air Canada. I flew their Premium Economy over to India, and Business Class home, both on the 787 Dreamliner. Amazing plane, and excellent service that rivals any of the other top airlines I’ve flown. And, as it’s a direct flight, it shaves several hours off flights that stop in Europe. Yup, Air Canada will be my ride from now on. Here’s my Air Canada review. So now with a direct Air Canada flight between Toronto and Delhi, and the convenience – and also luxury! 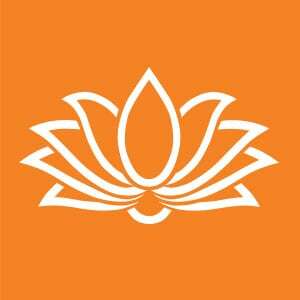 – of Aerocity, I feel that the distance between my two favourite countries has actually shrunk. I cannot recommend Aerocity enough if you have a layover, or need a hotel near the airport for any reason. 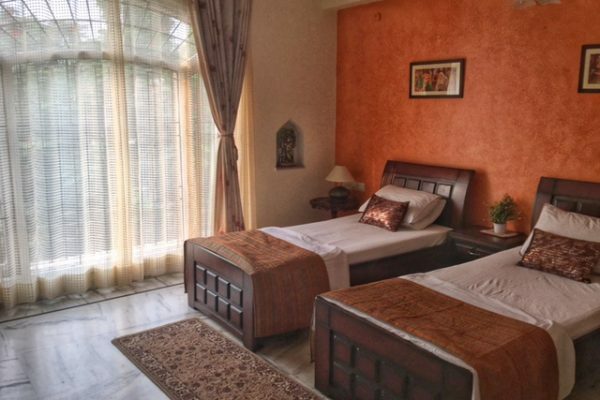 You could even potentially stay here and visit downtown Delhi by metro. NOTE: Thanks so much to Accor Hotels for hosting me at the Hotel Ibis and to Air Canada for a complimentary upgrade.